This is not a book of reviews. This not a book that sneers at other books. This is a book about reading - about enjoying books wherever and however you find them. Nick Hornby, author of the bestsellers About a Boy and Fever Pitch - takes us on a hilarious and perceptive tour through the books he bought, the books he read and his thoughts on literature. He is first and foremost a reader and he approaches books like the rest of us: hoping to pick up one he can't put down. 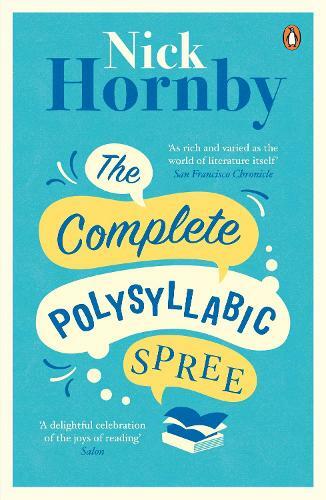 The Complete Polysyllabic Spree is a diary of sorts, charting his reading life over two years. It is a celebration of why we read - its pleasures, its disappointments and its surprises. And above all, it is for you - the ever hopeful reader. For fans of Bill Bryson and Stephen Fry, and for bookworms eveywhere, this witty, passionate book will make you cherish the world of letters anew. Bestselling novelist and author of the ground-breaking football book, Fever Pitch.